With a student making a marvellous post about birds in his area, I thought I would share a few pictures of birds I’ve photographed around my area (including some from an animal refuge I’ve helped). 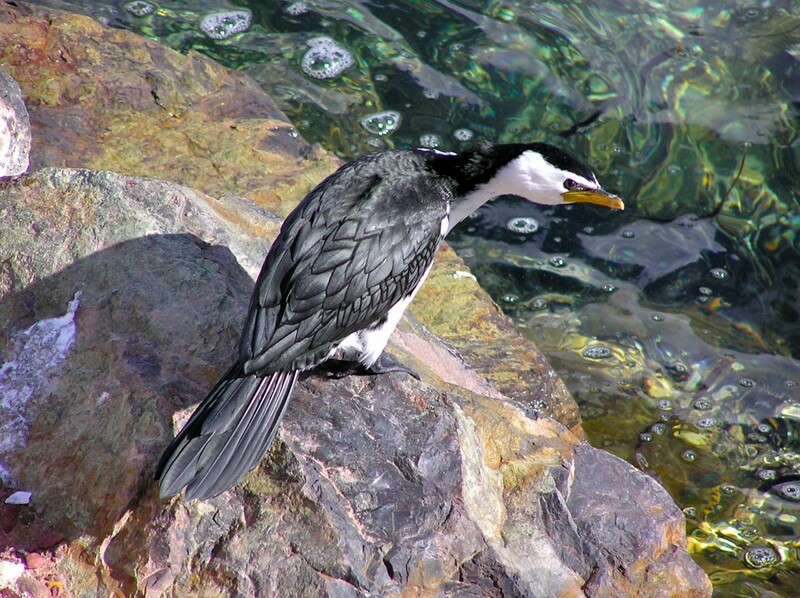 The little pied cormorant (Microcarbo melanoleucos) is often seen diving for fish in our tidal saltwater lake. You can probably see its webbed feet to help it swim. 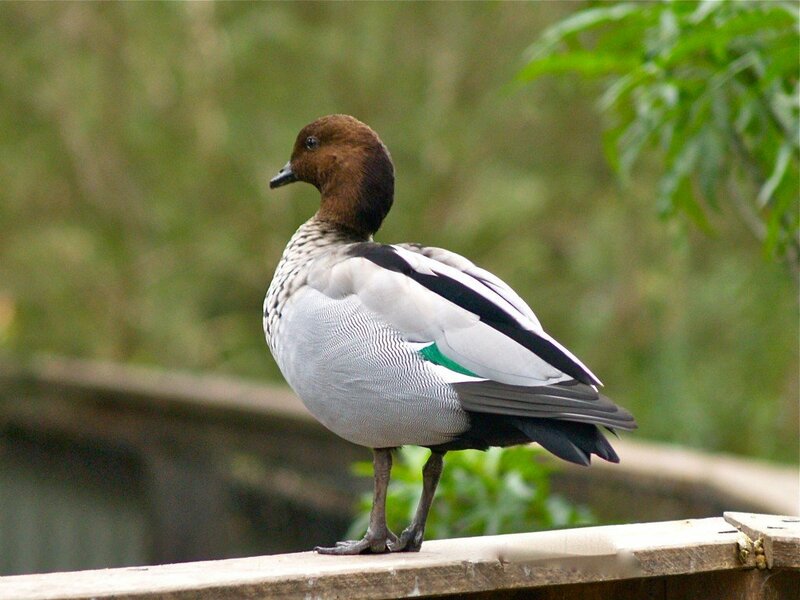 Australian Wood Duck (Chenonetta jubata) a visitor to our area can often be seen on a nearby sport oval. They sometimes breed in our area. Once I had to stop cars while a clutch of ducklings waddled across a bridge to the safety of a creek. 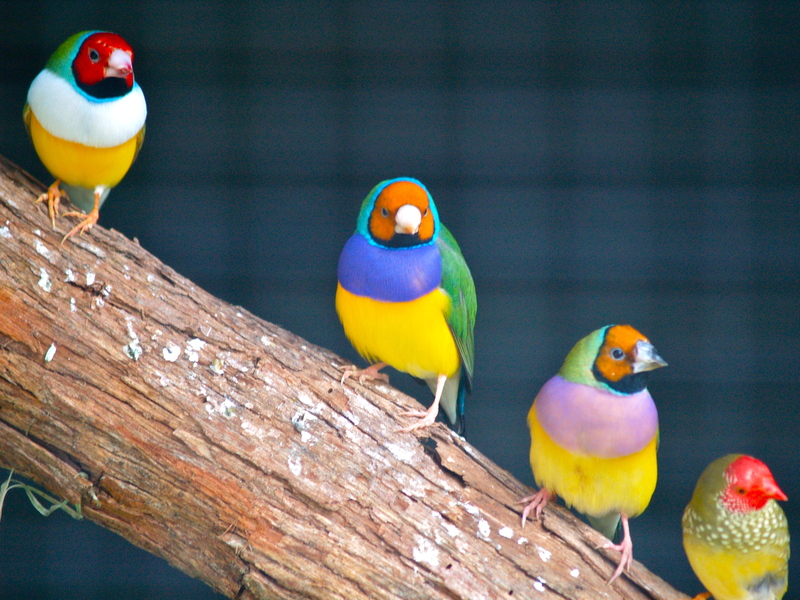 Gouldian Finch (Erythrura gouldiae) showing colour variation & Star Finch (Neochmia ruficauda) bottom right. These finches aren’t native to our area but are endangered in the wild. They were filmed at Potoroo Palace Native Animal Sanctuary. 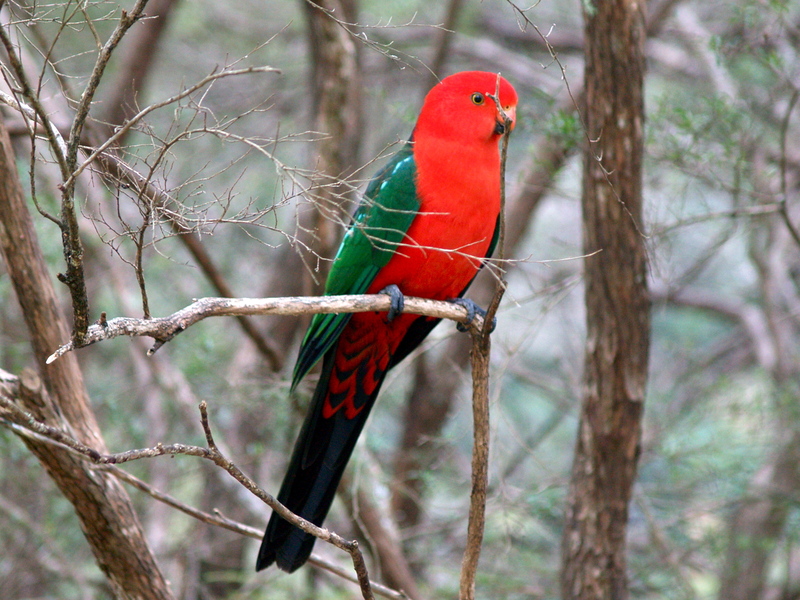 King parrot (Alisterus scapularis) male. Very much brighter than the females. They sometimes visit my yard. 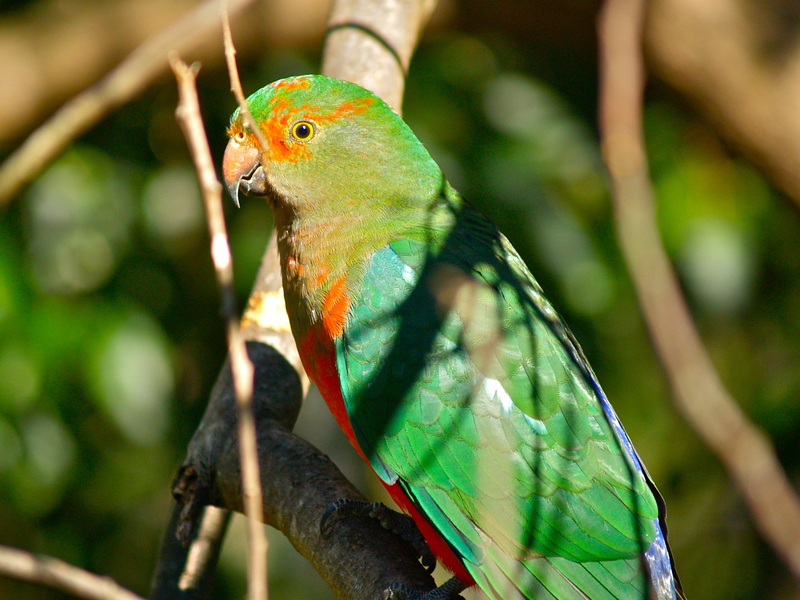 King parrot (Alisterus scapularis) female. 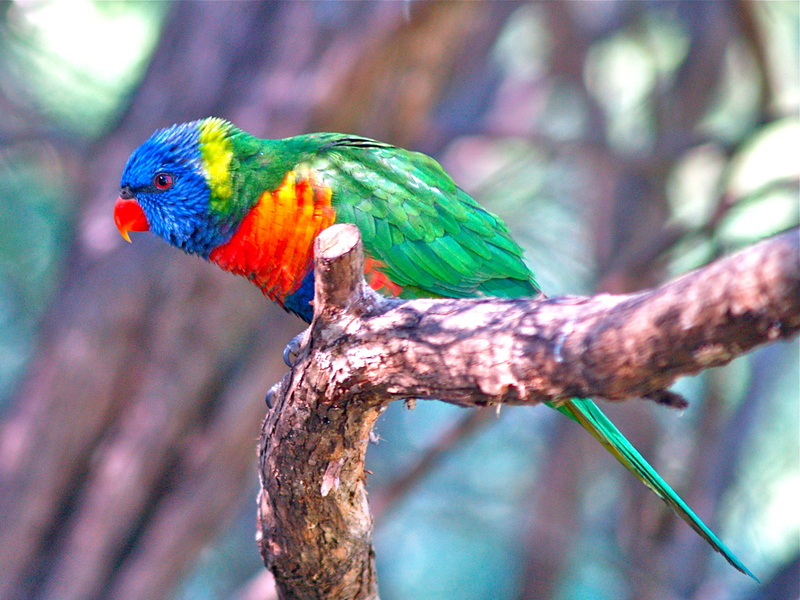 Rainbow Lorikeet (Trichoglossus haematodus) Living on nectar, imagine children on high sugar diet. Excitable birds often feeding on nectar in my yard. 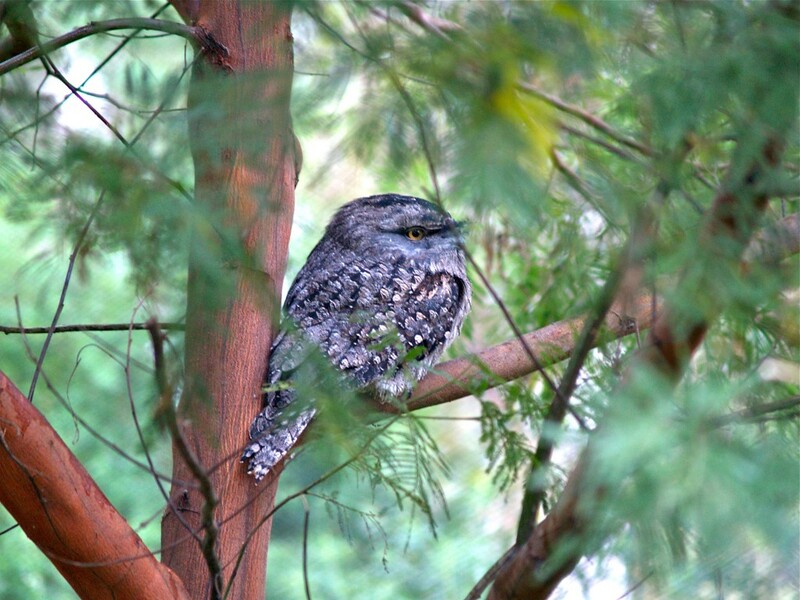 Tawny Frogmouth (Podargus strigoides) not common to see in the wild but I have found them in my area. Looking owl-like they aren’t an owl but are generally nocturnal. 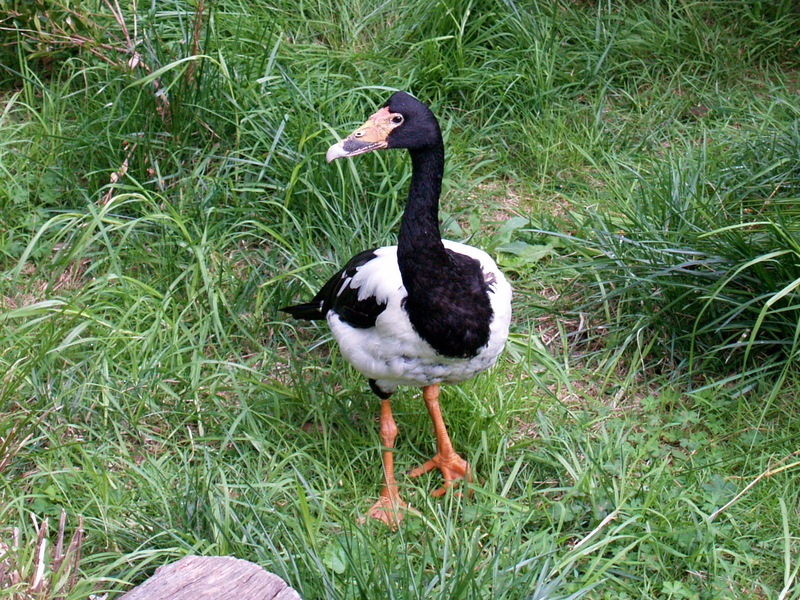 Magpie Goose (Anseranas semipalmata) They are native to northern Australia. This bird came into care at Potoroo Palace after being found with a deformed left foot. 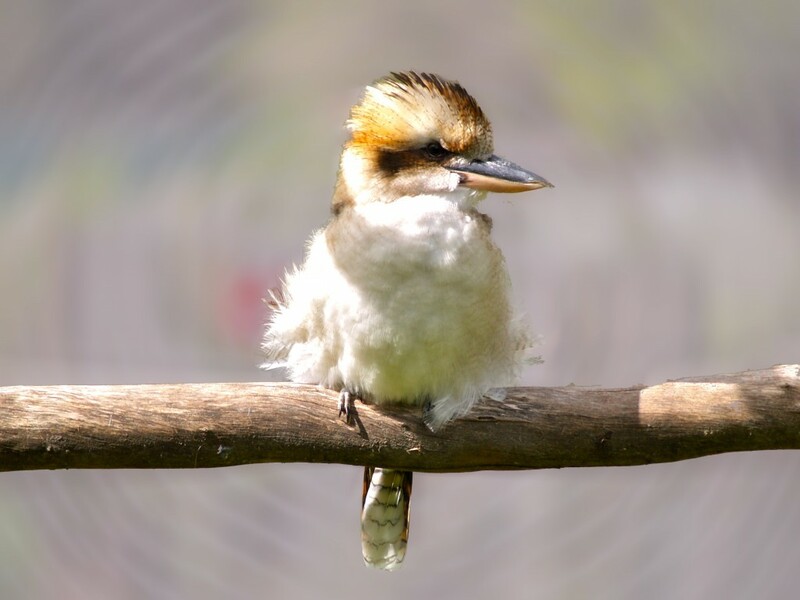 Laughing Kookaburra (Dacelo novaeguineae) These birds are often heard in may area. Their call is said to sound like a laugh but is towarn other birds to keep out of their territory. 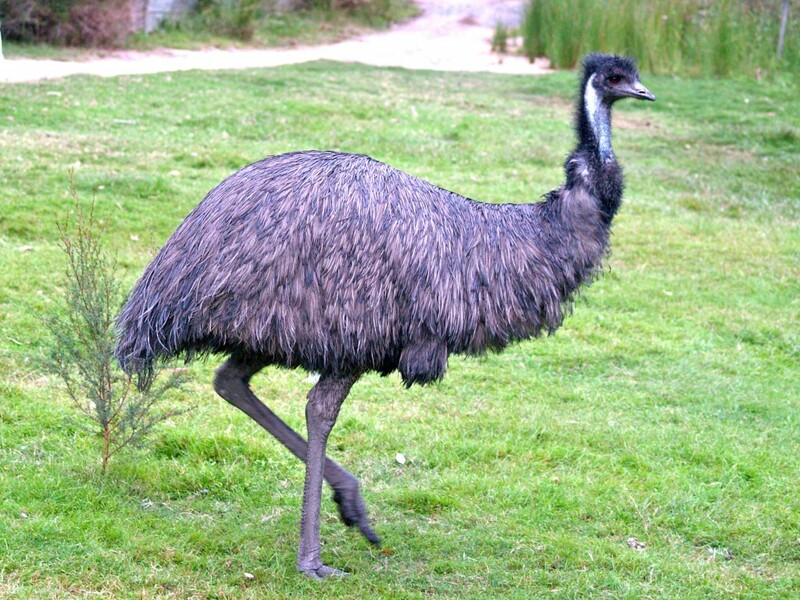 Emu (Dromaius novaehollandiae) These large birds aren’t found in my area but were common in the first school where I was a teacher. I sometimes had to chase them out of the school grounds before the children arrived. 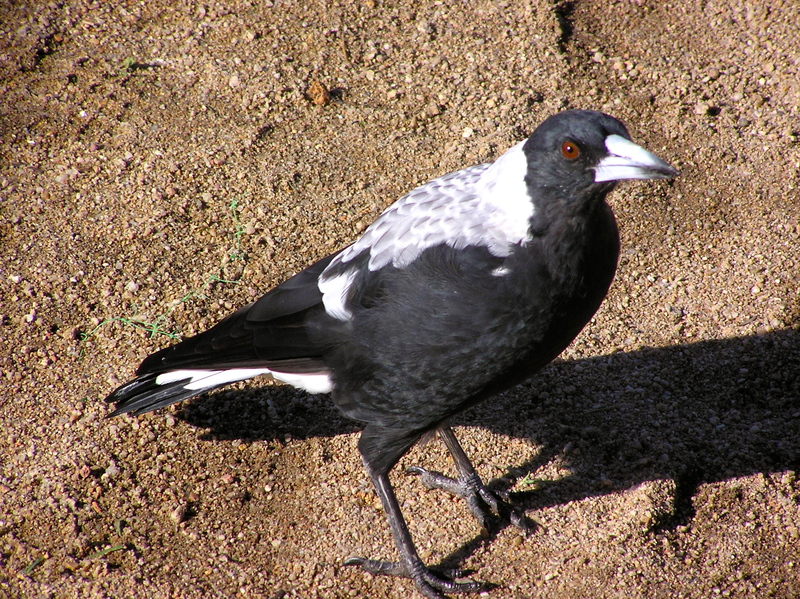 Australian Magpie (Cracticus tibicen) Some males can be very aggressive in breeding season although they generally aren’t. As you can see in this image, they can come close to people. The photo wasn’t taken with a telephoto lens. He just wanted a free handout. Little Corella (Cacatua sanguinea) It was unusual to see them on a tree in my yard. We normally get sulphur-crested cockatoos after the pine nuts. One day they arrived and posed beautifully. 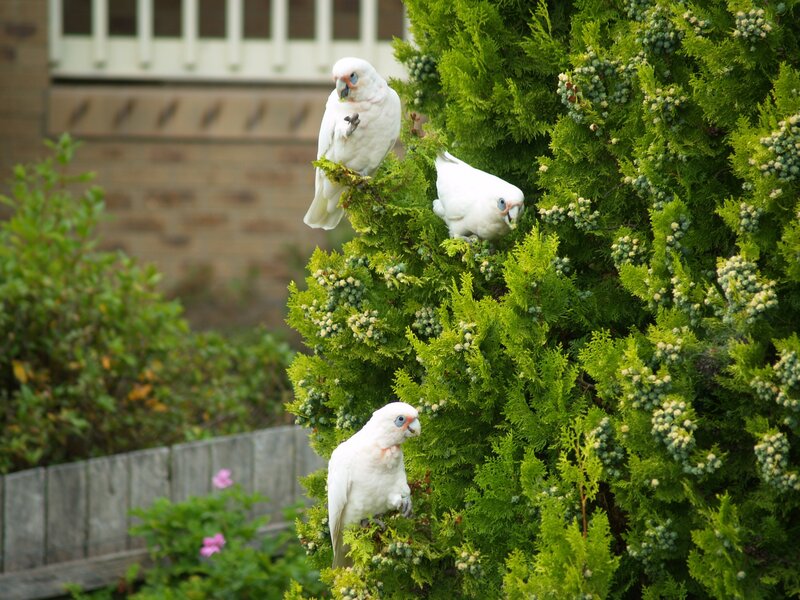 The more regular sulphur-crested cockatoos are out of picture shot. 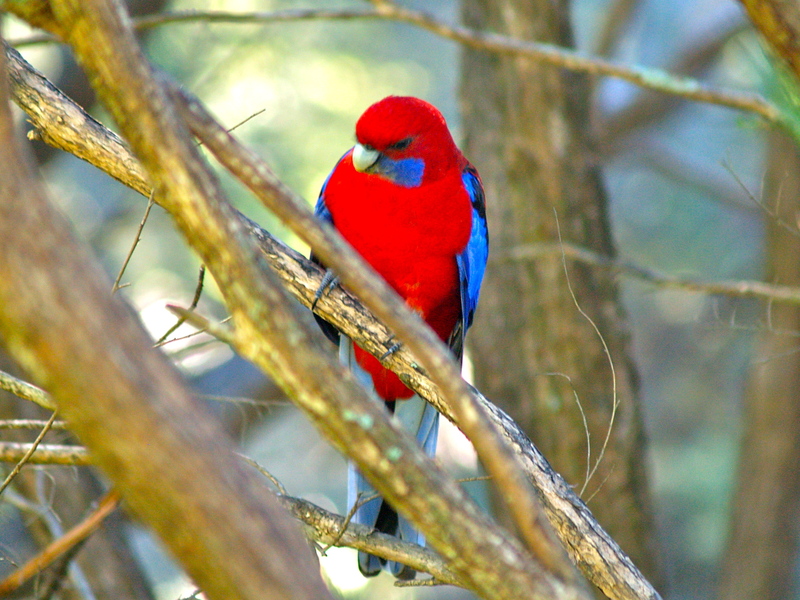 Crimson Rosella (Platycercus elegans) These birds have a beautiful piping call. they are reasonably shy but a pair often makes visits to my yard for a share of the seed left out. This bird is a male. The females have more subdued colours. 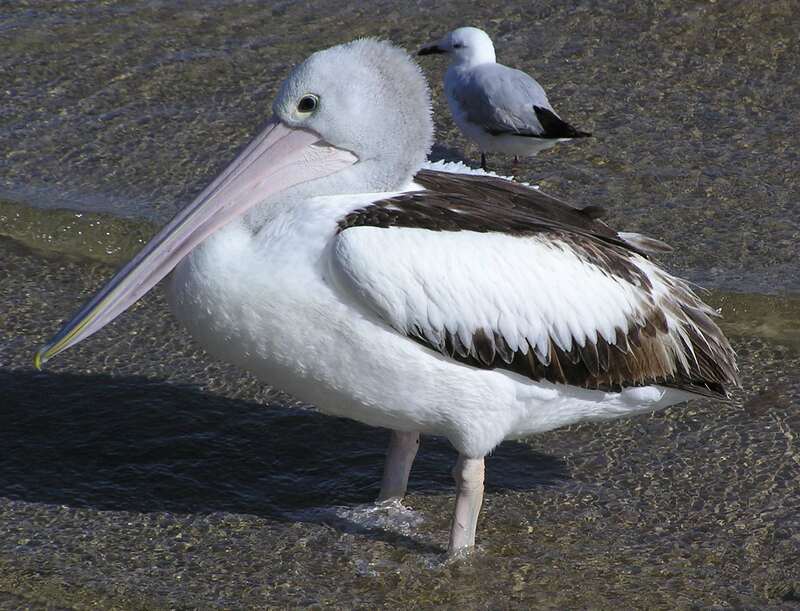 Australian Pelican (Pelecanus conspicillatus) These are beautiful fliers. They can sometimes be seen gliding through the air across the lake or soaring high in the sky using thermals. These are only a few of the birds to be found in my area but show the diversity of the area. Posted in Animals, Australia, Environment & Weather on May 23, 2012 by rossmannell.